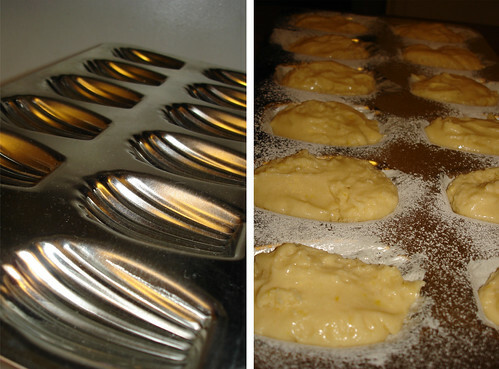 I made the "Traditional Madeleines" from Dorie Greenspan's beautiful book: Baking: From My Home to Yours. Dorie has a great blog as well! 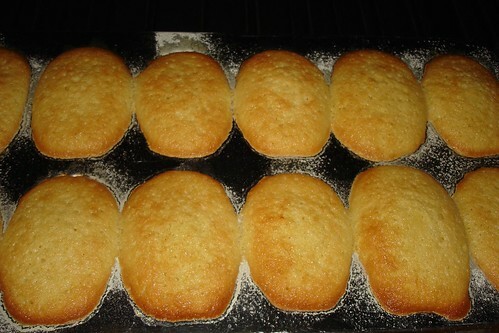 The madeleines were yummy, but they were quite "cakey" and not as dense as the madeleines you get from, say, Starbucks. Then the quandary. 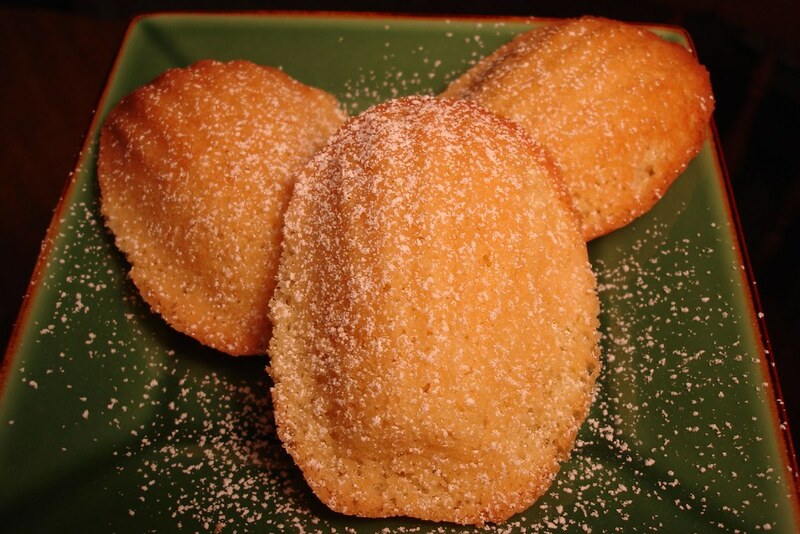 Do you really know what a homemade madeleine is supposed to taste like? Should you compare them to the ones you get at Starbucks that are sealed in plastic? 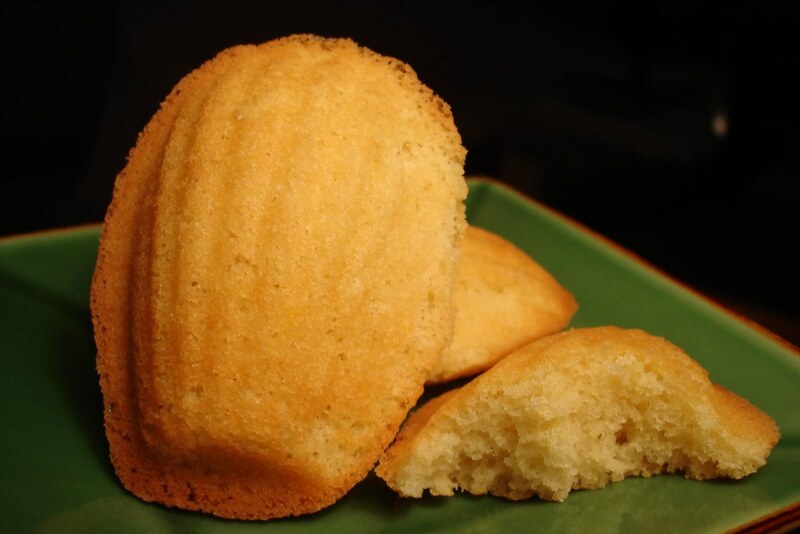 All the recipes I've read said you must eat the homemade madeleine THAT DAY - they don't keep and, basically, you're crazy if you don't stuff them in your mouth over morning coffee and tea. So...what's in the Starbuck's madeleine that allows it to sit around for days? The batter is very easy to make and quick to bake. You need to make the batter the night before and let it chill out in the refrig overnight. Then you bake them in the morning! I need to work on better buttering of the pan...a few edges stuck to the pan. There are a bunch of other madeleine recipes I want to try (including the Earl Grey and Saffron ones)...and use my cool pan! These are perfect to bring to morning meetings. 1. The cool pan I bought at Surfas. 2. Filled up with all the batter. 3. Coming out of the oven. 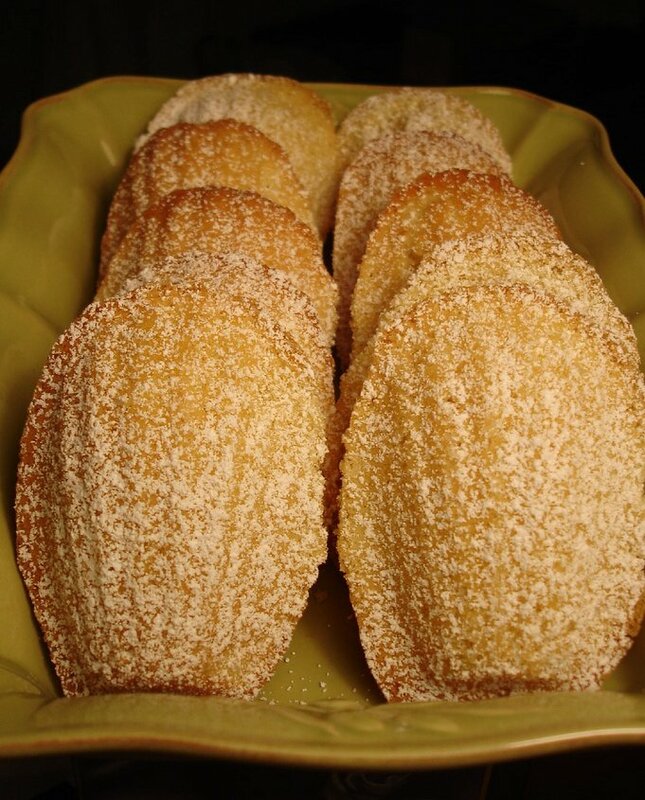 I hate to admit it, but I love the Starbuck's Madeleines. The Food Librarian is Tipsy! Polls Closed: Mr. Trashcan Wins!